According to music charts across the globe, Belgian-Australian musician Wouter "Wally" De Backer, aka Gotye, can now officially be referred to as a "pop" singer. A feat not often accomplished by "independent" or "alternative" bands, Gotye's single "Somebody That I Used to Know" has already peaked at #1 in almost 20 countries. So how did he do it? For his most recent album Making Mirrors, De Backer wrote a part for a female vocalist on a song called "Somebody That I Used to Know." But after a few choice singers passed on the opportunity and several more didn't quite fit the bill during demo sessions, De Backer hit somewhat of a wall. "There was definitely a point there where I felt like maybe I wouldn't be able to finish the song," he says. But along came 22-year-old New Zealand singer Kimbra, and thank the gods of YouTube she did. With over 160 million views of the music video for "Somebody That I Used to Know" on YouTube, De Backer's star, and Kimbra's along with it, has risen to heights visible beyond Tasmanian borders. If you turn on the radio, you can even spot it in the daylight. But a shining star can be blinding the first time you see it in the mirror. With radio listeners' ears tuned to the voice (often compared to Sting's) and next move (will the song become a "noose around his neck?" De Backer muses) of a formerly sample-heavy artist, De Backer must now realize that, like any superpower, with great success comes great responsibility, and great expectations. The wild card success of "Somebody That I Used to Know" has brought challenges both unforeseen and even a little uncomfortable at times. Not that De Becker is complaining. It's just that it can be a bit startling when you find out while in L.A. that Danny Elfman is a fan. Or when hear your song on the radio alongside Green Day. Or when, during one of those sidewalk autograph requests that suddenly mark each day, you catch sight of your reflection in a store window and wonder if now you're just somebody that you used to know. 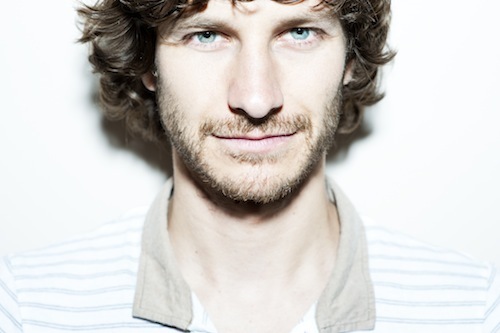 Gotye's performs in San Francisco tonight, Wednesday, April 18, at the Bill Graham Auditorium. SF Weekly reported on the show's suprising venue change, from the 500-person capacity Independent to 8,000-seater, quoting Another Planet Entertainment executive vice president Allen Scott as never having seen anything like that in San Francisco. I caught up with De Becker to talk about the making of the now-hit single, when Kimbra came into the picture, how the sudden rise to fame has affected daily life, and what he foresees happening next. There are over 160,000,000 views of the music video for "Somebody That I Used to Know" on YouTube. When you wrote that song did you know it would be such a hit? I knew it would be single but I didn't expect that level of YouTube success. What do you think it is about that song that resonates with so many people? There's obviously the universal aspect of a breakup in a relationship. I think people relate to the fact that both Kimbra and I in the song are kind of untrustworthy narrators. In a way the song, through the lyrics and chances in emotion -- from reflection through to angsty bitterness -- tries to communicate this sense of how confused one can be, about either how memory can change, how you think you felt about somebody at the time or how you're not even sure how you feel once a relationship breaks up with somebody that you've been very close with. I suppose the fact that a lot of what we say in the song brings each other's statements into question reinforces that uncertainty. I think maybe people relate to that as having an element of truth to it in terms of what you tend to experience in life, which is that things aren't very easily wrapped up in black and white. And I don't know, maybe we sing good! How did you come to work with Kimbra? I met her about five years ago. She was covering one of my tunes and she was doing little gigs solo on guitar, doing lots of looping of her own voice and guitar at a little club in Melbourne where I went to see her play. We met up but we didn't really stay in touch very closely over the years. She worked a long time developing new material and working on her debut record. In the last year we hooked back up at a studio we were both working at, and started to become aware of the different stuff on our new records we were working on. It was actually Francois Tetaz, [who was at the time producing both Gotye's and Kimbra's records] who suggested I contact Kimbra about the song. I was already a big fan of hers and I love her voice but I'd almost told myself I thought she wouldn't be right, but I stayed open-minded. We sent her the track, she really loved the song, and the second we'd demoed some vocals together I knew I was wrong and that she had a really fantastic interpretation. She's so versatile with how she can use her voice. She found an insight into how to give it that thing that for many months I didn't think a vocalist could do for it. The making of this album was very different than past attempts. You made more of the music from scratch versus from sampling records. Tell me about that evolution. The main difference is that I played more acoustic instruments and I also used my sampling experience but just applied it to things like sampling bits of my own performance on different instruments: drum kit, things I've collected, like some pianos and autoharps, weird keyboards and things in second-hand shops. I still sampled records but I guess it was just broader. I went looking a bit further like with field recordings, a weird instrument called the Winton Musical Fence in the outback of Australia. I tried to go beyond sitting in a room referencing my record collection and manipulating bits from existing recordings, more using some of those samples as platforms and then mixing them more with playing things and applying that sampling approach to acoustic instruments. Was there something specific that brought you to the decision to change your approach? I'm pretty restless creatively, so I never really want to repeat myself. I feel like there are parts of my new record that are somewhat of an extension or distillation of stuff I was doing on my previous album, Like Drawing Blood, so I'm definitely inspired to try to head in a very different direction on my next album. I'd say its creative restlessness and a desire to explore new things. I want to keep it interesting for myself. It depends where you decide to define certain areas in which you're going to try to explore newness or variation or what you might call originality. You can just play an acoustic guitar and through doing things like trying a new tuning system or putting it through an effect pedal, then you reinvent that instrument for yourself. There are ways to simplify and on the one hand have a very limited palette, but still find ways to play with harmony or melody or just the pure sound of it. But I guess maybe I just need to be more spoiled. I need to go looking further for weird instruments, strange places, old records, or maybe I'm just not as easily inspired when I sit down at the piano and plunk out chords. Any sneak peek into what we can expect from your next album? I have no idea yet. It takes me a long time to make records and I'm not very successful at trying things out while I'm on the road, especially with what's happened with the success of this track and this record over the last nine months. I've been so busy I haven't really had a chance to work on anything new. When I go into a music-making space, that for me is when I go into an introverted place and I kind of need to withdraw, maybe process a few years' worth of things like doing shows and traveling the world. On the other hand I'm not really interested for that to be an experience platform to lead into writing songs. I've already written songs that involve being disenchanted with touring and feeling the wastefulness and use of resources when you travel and fly as much as someone does as a gigging musician. I need to withdraw, read some more things, or live somewhere I haven't been before and see if some stories arrive. What are the differences between life before and after the success of "Somebody That I Used to Know?" Well, I get recognized on the street in places I've never been before. I've never been in D.C. before and I went for a walk and bought a coffee this morning and three people wanted photos with me. That's sometimes pleasant, sometimes a bit annoying. That's one difference. Otherwise, I'm busier than I ever have been before. I've always been a bit of a workaholic and kept myself very busy, but at the moment it's one thing after the next, trying to think six months ahead. It feels like potentially it's always somewhere between excitement and a certain level of anxiety about what it means to have such a big single and whether it will actually become a noose around my neck. Whether it'll weigh so heavily on me when I start to write new stuff that it'll actually feel like a negative, I don't know. I'm just probably sometimes slightly confused or I'm putting that out of my mind and trying to focus on the task at hand, which is playing good shows, enjoying the time traveling, and seeing new cities, especially in the United States. Maybe I'll be able to process all of it a little bit down the track. What has been the most surprising aspect of this whole whirlwind? Maybe sitting in a taxi in L.A. when a modern rock station is playing Linkin Park, Green Day, Foo Fighters, and then my track. It feels a little bit surreal. It feels a bit incongruous, musically. You've got this really loud, heavy, compressed rock music and then this kind of restrained, xylophone naïve melody, very soft, reflective song. Moments like that feel a bit strange, like I'm not quite sure how that's happened. There's been a bunch of weird things. Like I'll be doing promo in L.A. and drive up to a house where somebody's set up some webcam stuff and I find out it's Richard Elfman's house, a guy whose movies I used to watch when I was a teenager, who started the band Oingo Boingo with his brother Danny Elfman, who it turns out is a fan of my music. Things like that are kind of classic L.A. experiences, not things I thought would happen. You say it feels incongruous to hear your song on the radio alongside other genres. How do you usually describe your music to people who haven't heard it? I suppose "alternative pop" is a fairly boring generic way to say what it is. I came up with my own genre term which is "neurotic exotica." I'd like to try to come up with some others, though. Otherwise I'm like, have a listen to these songs and you'll see that describing certain genres is not really what it's about, the way I make music, really. Given what a whirlwind it's been, what are your coping mechanisms and strategies for staying sane while on the road? On some level you just have to shut certain things out. I haven't really been engaging with social media, like Twitter, for a while. I kind of checked out for a bit. I stopped reading press, firstly because there was just so much of it eventually and beyond a certain point, once you read, say, the 100th review -- well, I wouldn't get anywhere near that -- but once you've read 10 reviews of your record, some terrible, some great, some average, then you kind of realize it actually has no real bearing on the work you've done and it's not like you can change what you've done anyway. In the end it just reminds you that you're on your own journey and only you really know if you've worked as hard as you wanted to or done the best you can. And it's kind of interesting, I find it curious to then work out where other people think you fit, or what your work means to a certain audience or music scene. But in the end, I don't think you need to let that affect anything about the path you're on or what inspires you. So a certain amount of checking out and trying not to think about the success or the bigness of it is probably the best coping mechanism, but just focusing on the task at head: Stay healthy, sing well, do shows that you find exciting with the guys in your band you like playing with, and enjoying the experiences with different audiences night by night, and when you do get a chance to see new cities, really appreciating that because it's a pretty amazing job in that regard.